When I was in my last corporate job, two digital publishing initiatives were launched pretty much simultaneously. One was the consumer-facing Book Army, the other was the writer-facing Authonomy. Book Army was based on sound strategic logic. At a time when publishers would think nothing of spending multiple six-figure sums on new company websites, but few consumers could identify the logo on the spine of the book they were currently reading, a UK-based social networking site for book lovers felt a more relevant way to drive consumer purchasing and ad revenue. And Book Army was publisher agnostic. If you wanted to recommend a book not published by HarperCollins, so be it. It was a soft rather than a hard sell. Authonomy, on the other hand, was born to solve an editorial conundrum. Surely it was counterintuitive to declare on a publisher’s website that it did not accept unsolicited manuscripts? It effectively sent out the signal that a publisher did not believe it had the innate ability to discern what should be commissioned, and that somehow it needed agents to filter the slush pile for them. So one editor came up with the idea of crowdsourcing submissions through a site, which allowed writers to upload a manuscript and submit it for peer review. But five years is a long time in publishing. After half a decade, which one worked and which one fell flat on its face? 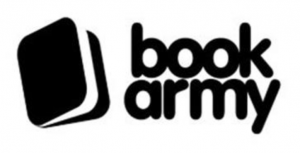 Book Army closed after two years. Just because it was a good, strategically sound idea (as Goodreads would show) didn’t mean you could force it to work. In retrospect, a publisher was in some ways in the worst place to start up an initiative like that. There were too many other strategic objectives in play. Authonomy, however, is still going strong. It was, at the time, a unique solution to a problem that helped define the organisation. It grew organically into something that created top-ten bestsellers and an ad revenue stream. At the time, the publisher’s digital team was more centralised than it is today. Authonomy was probably seen as too niche to make money. Book Army was a much bigger potential play. But maybe that’s the point. Trade publishers take for granted the things they have always been able to do: to help find entertaining content that lots and lots of people will enjoy. You can’t force a publisher to be a social network recommendation engine. But you can enhance the ability to publish what people want to read.